Book of Religous Tattoos Hundreds of designs already sold around the world ! (Later he would settle in Aransas Pass, Texas until his death in 1993.). Shaw also worked with Cap Coleman, Earl Brown, Col. Todd, and many others. This tiger painting was painted during his years at Nu-Pike. Also available in smaller size. the sheet was professionally scanned, printed and color matched to the original. these giclee fine art print sheets are the closest to the original sheets as could be possibly made. One Piece of Chicano Calligraphy Font Lettering Tattoo Book. 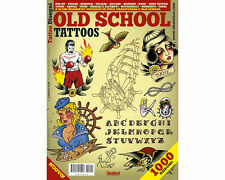 Great reference book for tattoo works. Winter Casual 90s Jazz Solo Paper Cup Crew Neck Sweatshirt Jacket Jumper S-5XL. 1 Pair Socks Compression Foot Sleeve Plantar Fasciitis Angel Ankle Pain Socks US. This 11x14 original and very well-done sheet (hand outlined in ink and colored with colored pencil) on now stained, sun-colored, old gritty fragile paper. sheet is in good shape for being from the mid 1970s. Custom Tattoo Lettering Book - 45 Custom Alphabets & pages of examples. 54 pages total. Condition is New. Shipped Free with USPS Priority Mail.. The original production sheet, advertised in the Milton Zeis publication, "Tattooing the World Over", was printed most likely in the 1950s or early 1960s. these sheets are the closest to the original sheets as could be possibly made. "Monmon Cats" is Horitomo's newest book, featuring an extensive collection of his famous tattooed cats - all. ARTIST Kazuaki "Horitomo" Kitamura. beautifully drawn in classic Japanese style and decorated with beautiful Japanese tattoos. 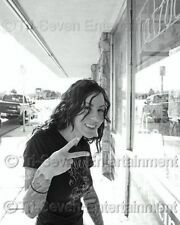 This set includes various Tattoo Designs including but not limited to Girls, Hearts, Roses, ect. Linework for this set IS NOT included. A collection of original art from punk tattooers around the world! This book features over 60 pages of punk art from 40 punk tattooers! CONTENT Tattoo Flash. BINDING Softcover. Collectible Don Nolan Back Piece Design Sheet. 11x17 original production sheet on thick paper, and covered with thick lamination. not a later photo copy. unused excellent condition. Wonderful drawings in the. Tattoo Flash Design Book. Tattoo Flash Design Book 66-Pages. Striking, beautiful, seductive, elegant and mysterious. La Catrina is the skull woman. loveliest and most popular styles. (Qty-1) Flowers & Butterflies Tattoo Flash Book Deisng 66-Pages. Flower & Butterflies Tattoo Flash Design. put on display for those people that want that small quick tattoo. Filled with color and black and grey tattoo designs. 200 Roses Tattoo Flash Design Book. 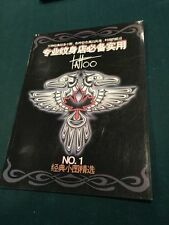 This book has over 200 tattoo designs. Roses in traditional style as well as old school, realism, black & grey, water color and more. (Qty-1) 200 Roses Tattoo Flash Design Book 66-Pages. "Book of the Dead by Steve Soto". (Qty-1) "Book of the Dead by Steve Soto 30-pages ". 30 page sketch book. 241 Risque Woman with Butterfly Wings Ant Frog ETC. 243 Risque Woman Vulture Horse Snake ETC. 246 Risque Woman Panther Flowers ETC. 248 Risque Woman Mighty Mouse Skull ETC. These are high quality copies of the originals on heavier paper not cardboard flash. Each reproduction "giclèe" fine art archival blue print was printed professionally and color matched to the deep blue original after the original sheet was scanned professionally on a flat bed scanner. (You got to get this book, it will be well worth it). This book is well worth its weight in gold. Old School Vol 2 Tattoo Flash Design Book. (Qty-1) Old School Vol. 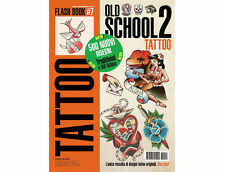 2 Tattoos Flash Design Book 64-Pages. (You got to get this book, it will be well worth it). Lettering & Script Tattoo Flash Design Book. 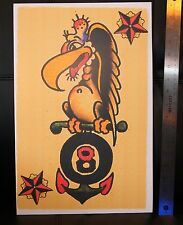 (Qty-1) Lettering & Script Writing Tattoo Flash Design Book 64-Pages. 64-Page Tattoo Flash Design Book. The sophistication and elegance so typical of her designs and in particular her script pieces. The art is representative of Wilson's typical folky loose style, most likely 1905-1917 based on dates in the cache. 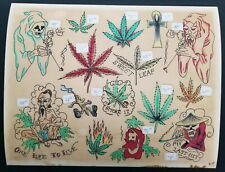 Authentic and original, hand-painted original small design cut antique tattoo flash from WH Wilson 1900 era sketch book. 11x14 original production sheet on paper, not a later photo copy. unused excellent condition. This is the BJ Betts Lettering Guide 2. This BJ's follow up lettering guide and is a great sketchbook that elaborates more on the creative process of lettering through BJ's eyes and hand drawn examples. 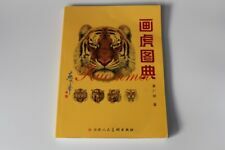 Chinese Ink Painting Tiger Head Design Book. One piece of Chinese Ink Painting Tiger Head Design Book. Language: Chinese. Page number: 188 Page. Tattoo Flash book by Tomas Archuleta. 200 Skulls Tattoo Flash Design Book. 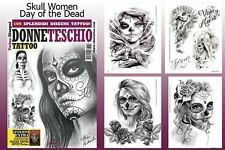 (Qty-1) 200 Skulls Tattoo Flash Design Book 66-Pages. Realistic, Traditional and Old School Skulls. 200 high impact designs ready for tattooing. (You got to get this book, it will be well worth it). The newest addition to BJ’s series, is the Traveling Lettering Guide. The perfect size to keep handy and to take with you to conventions. The stencils and flash in this book are from the early 1900's. Rich in tattooing and naval history, this book is for any tattooing and history buff. ARTIST August "Cap" Coleman. BINDING Hardcover. 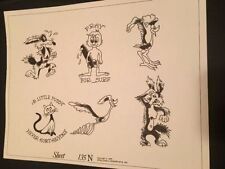 Vintage PRODUCTION TATTOO FLASH 11" X 14"